For graphic designer Matthieu Salvaggio, typefaces are tools and should be as easy to use as, say, a hammer. "If you buy a hammer, you should be allowed to use it as much as you want,” as he puts it. But most fonts come with complicated licenses that limit what designers can do with them. Salvaggio founded Blaze Type (formerly Adele Type Foundry) in 2016 to make distributing fonts easier. Every Blaze Type font is the same price, and once you've bought it you can use it wherever, and for however long, you need. 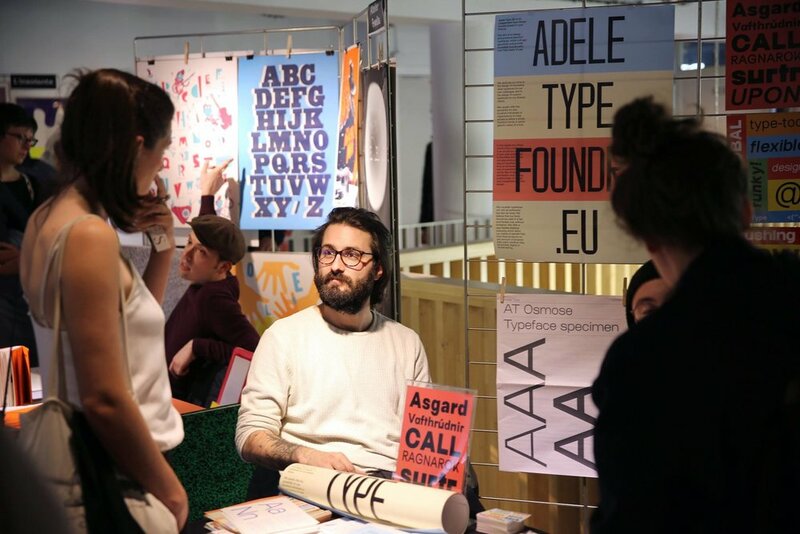 It's a simple but game-changing concept, and Salvaggio says people are embracing the new model: he nearly quadrupled the €1,200 funding goal of his Kickstarter campaign, which rewarded backers with an exclusive typeface and newsprint specimen. 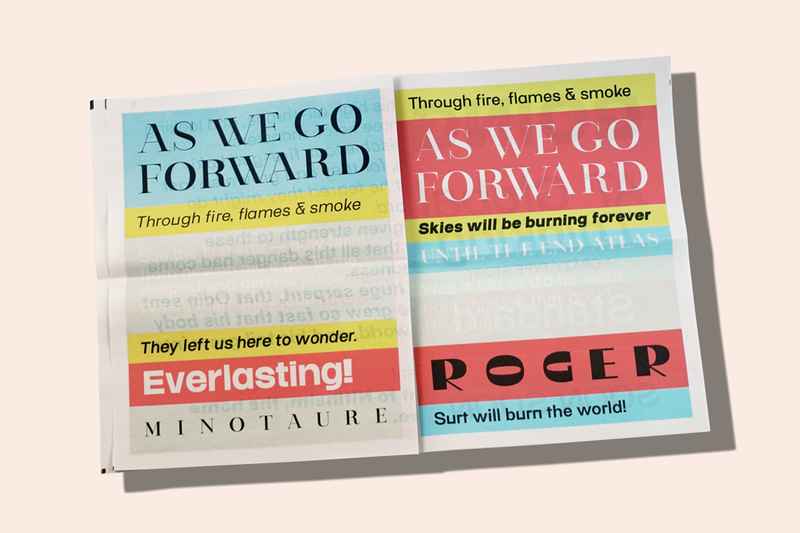 The 6 typefaces Salvaggio's released with Blaze Type so far have been used for posters, websites, book covers and more. 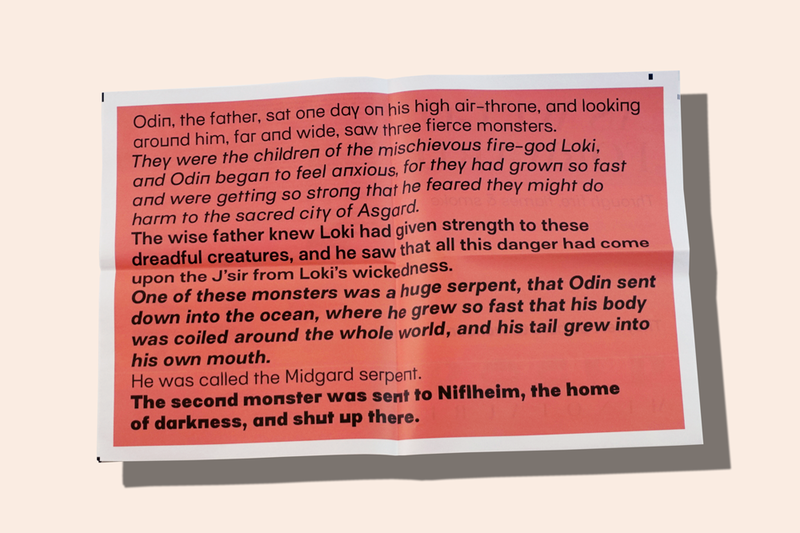 A new type specimen, published as a digital tabloid, brings them all together in print. Based in Lyon, France, Salvaggio is also a university teacher and art director. 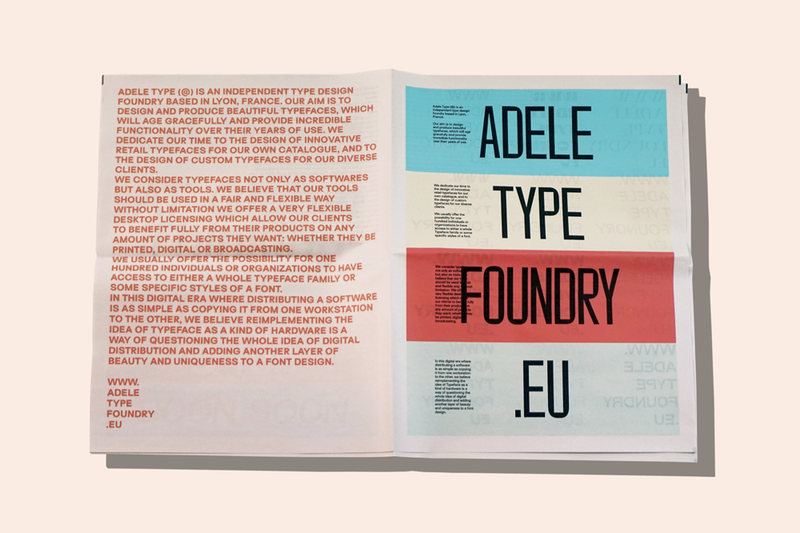 Below, he tell us more about his innovative type foundry and which reference books he always keeps within reach. Congratulations on launching Blaze Type! You have 6 AT typefaces so far: Arges, Keops, Memoriam, Osmose, Surt and Apoc. Do you feel they tie together or is each one totally distinct? The fonts do work together — they're all part of the same story, told in different ways with different shapes. We’re fascinated by mythology and paganism and try to bring those references into our font design. 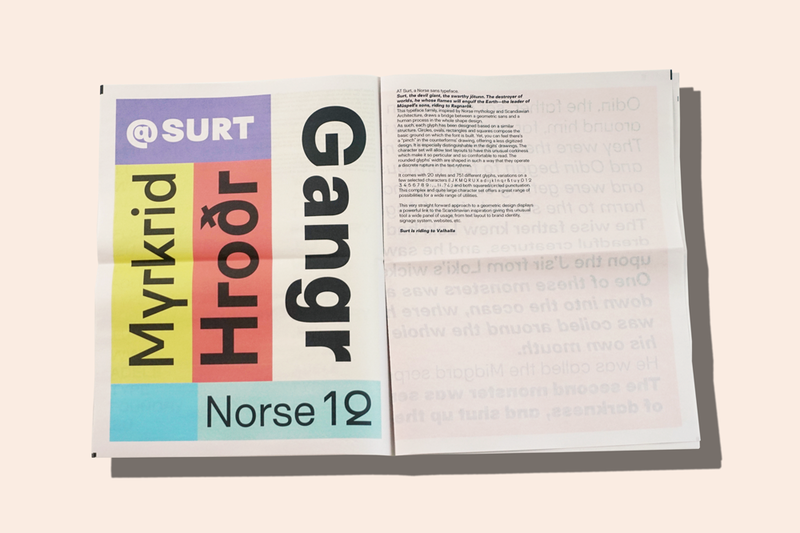 AT Surt, for example, is inspired by Scandinavian architecture and works well when paired with a strong display font like AT Arges or AT Apoc. Why a newspaper for this catalogue? Newspapers are a fascinating medium. They have a deep history and it’s a pleasure to design layouts for them. We’re using various mediums to put our fonts in print – we’re also working with Intercouleur on a book design. Where/how have the typefaces been used so far? We’re always excited to see our fonts in action. We have yet to see them used for a video game – as a video game nerd, I can’t wait to see our typefaces displayed on a game interface. That would be a huge honour. 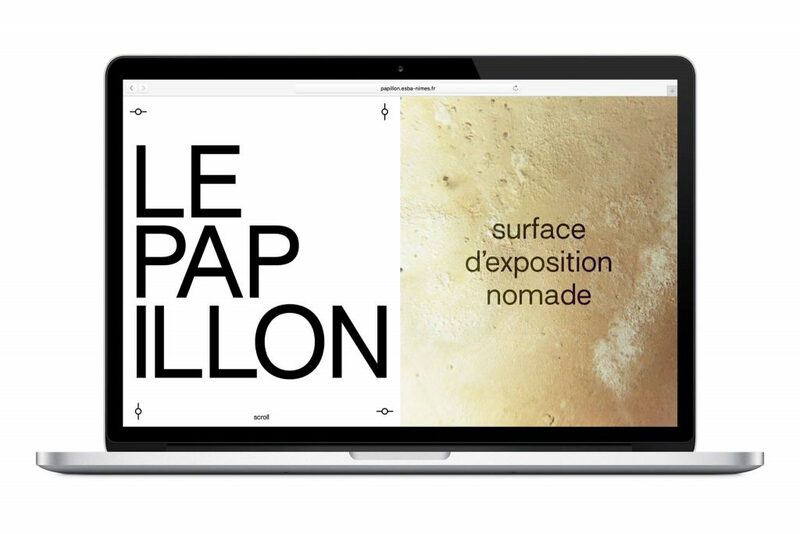 AT Surt in use on the Le Papillon website. Image via TypeMag. You’ve taken a novel approach to distributing your typefaces. Can you explain what you’re doing differently? Traditional licensing for typefaces is complicated and restrictive - the price depends on how you are going to use the font. We offer flexible licensing that allows our clients to use our typefaces freely. Basically, it’s an “all kinds of usage” license. We've had a great response to the business model, which has made us feel more confident about doing things differently. You’ve printed a few newspapers with us now. What’s your design process like? The design process is hard to describe. We share ideas, we sketch, we experiment, we argue a lot, we experiment again, trash everything, start from zero, sketch – rinse and repeat until everyone stares at the product and goes “Hell yeah”. Which 3 books should be required reading for typography students? Size-Specific Adjustments to Type Designs by Tim Arenas and Shoko Mugikura. Sorry, one more – Letter Fountain by Joep Pohlen is definitely a book you need to have by your desk at all times. Who do you most look up to in your industry? The list could go on forever – I discover a new typeface designer or font foundry everyday and I’m amazed at how rich this industry is. I have great admiration for Production Type, Prototypo, Commercial Type, Intercouleur and my collaborators on Blaze Type: Alexis Cros, Guillaume Sbalchiero, Samuel Gadea and Camille Boileau. What are some of the most interesting examples of type you’ve come across offline lately? Designed by Guillaume Sbalchiero at Ecole Nationale Supérieure des Beaux Arts, Lyon. 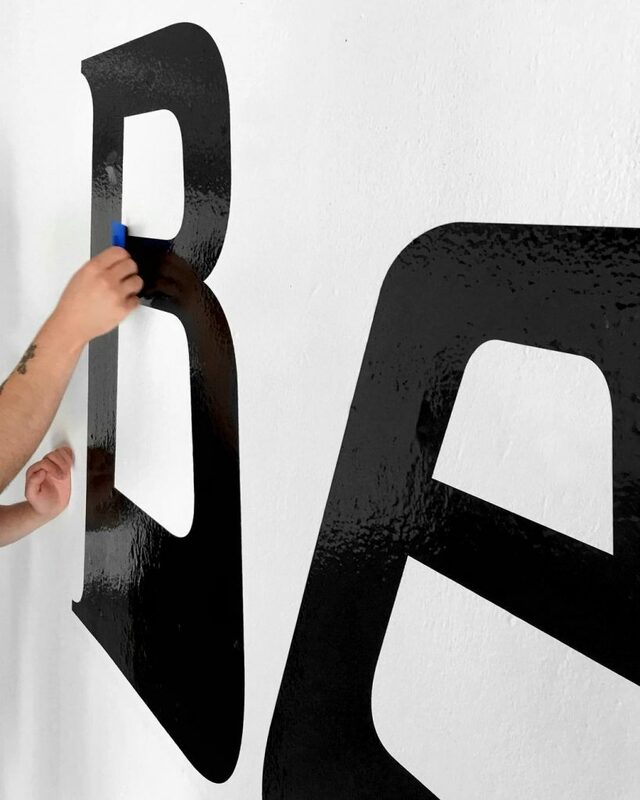 I’m a sucker for hand-painted letters on a wall. Can you tell us about the project you’re most proud of from the past year? I’m very proud of the typeface AT Apoc and the design of Blaze Type’s website. We discussed the website design a lot and wanted to have a truly unique experience: new, bold, violent, fun, young. We are currently working on extending the Surt family with different widths and designing a new font family, AT Striga (get a sneak peek on our Instagram account). The one we always save for last: Where’s your favourite place to read a newspaper? There’s no better place than the terrace of a café with a cup of tea or coffee – "black as hell, strong as death and sweet as love”– in the early morning. Newspapers are a fast, flexible way to share your story. Print runs start at 1 copy.